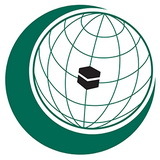 The under-mentioned Organs are established within the framework of the Organization of the Islamic Conference in accordance with a resolution adopted by the Islamic Conference of Kings and Heads of State and Government or the Islamic Conference of Foreign Ministers. Member States shall automatically become members of these organs and their budgets shall be approved by the Islamic Conference of Foreign Ministers. 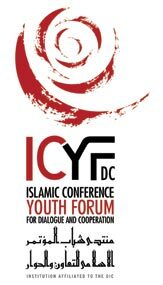 These are established within the framework of the Organization of the Islamic Conference in accordance with a resolution adopted by the Islamic Conference of Kings and Heads of State and Government or Islamic Conference of Foreign Ministers. Membership to these organs is optional and open to OIC Member States. Their budgets are independent of the budget of the Secretariat General and those of the subsidiary organs and are approved by their respective legislative bodies as stipulated in their Statutes. Membership to these institutions is optional and open to institutions and organs of OIC Member States. Their budgets are independent of the budget of the Secretariat General and those of subsidiary and specialized organs. They were established under the auspices of the Islamic Conference of Heads of State and Government or the Islamic Conference of Foreign Ministers. Affiliated institutions may be granted observer status by virtue of a resolution of the Islamic Conference of Foreign Ministers. They may obtain voluntary assistance from the subsidiary and specialized organs as well as from Member States.